Let’s face it, there are a lot of Medicare Advantage plans available. Finding one that you are satisfied with can be challenging. Many Medicare beneficiaries limit their choices to popular plans advertised on television or get their information from an agent who only represents one company. It’s also become popular to search for a list of available Medicare Advantage plans by State. The downside of searching for Medicare Advantage plans available by State, is that plans are offered on a County by County basis. If you are in Orange County Florida, for example, the only plans that will be available to you are the ones that are offered in Orange County. 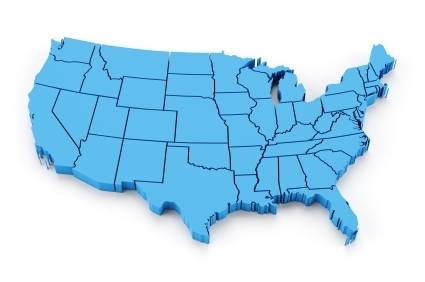 It’s easy to see why searching for Medicare Advantage plans by State will not give you the correct information to find a plan that will suit your needs. Here are some tips on how to find the right Advantage plan. Consider speaking with an Insurance broker that is authorized to represent multiple Advantage plans. Since you are probably going to have an entire tree delivered in the form of Advantage plan literature you may have enough choices in your mail box. You can find online resources that will compare several plans available in your area. Get an idea of what is available by visiting the Medicare website. Find out from family and friends if they are happy with their Advantage plan (if their plan is available in your County) and contact an agent. All of these methods will give you a more accurate search than looking for Medicare plans by State. A knowledgeable broker will only show you plans in your area and an insurance company is not going to waste the money mailing plans that are not available. Medicare Advantage plans that include Part D drug coverage. Advantage plans that do not include Part D.
This is a good place to start, but navigating the site can be cumbersome for some people. Also, if you are like many Medicare beneficiaries, you may like to have your choices narrowed to the top tier carriers. Searching through 40 or 50 Advantage plans can be a little overwhelming. If you are becoming eligible for Medicare in the current year or have a special enrollment period, you can find plans that are available now. If you are looking for a new plan, you will need to wait until the Annual Enrollment Period (AEP) to submit an application for the following year. Plans with a January effective date can be chosen between October 15th and December 7th. To get an accurate selection do not search for Medicare Advantage plans by State, but rather narrow your search to the specific County where you live. Most online tools will require your zip code to make sure that you are accessing the correct plan choice. Lynda, If you have an AARP United Healthcare agent, you could contact them or call the AARP member services phone number on the back of your insurance card.